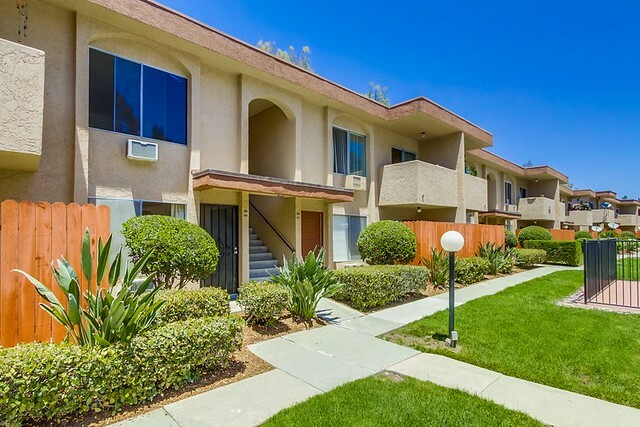 Move-in ready, ground floor, end unit condo in the Carroll Canyon Gardens complex. Home amenities include an updated kitchen and bath, recessed can lights throughout, abundant natural light, open floor plan and enclosed private patio. Perfect opportunity for first time homebuyer or as an investment property. Great Mira Mesa location, close to Miramar College, Hourglass Field community park, schools, shopping, entertainment and I-15 freeway access.